 Helping clients thrive and communities prosper, Wiarton Branch will be celebrating 125 years of providing service to our community in May 2017. RBC is the #1 largest bank in Canada, #13 largest bank in the world with locations in 40 countries. We employ 78,000 employees to serve our 16 million clients. We are proud to say we donate over $100 million in donations, sponsorships and community investments to causes worldwide.